A Ken’s Tech Tips analysis shows 78% of books are available on Kindle but Kindle editions cost 10% more than print editions on average. The Amazon Kindle was one of the most gifted items this Christmas and reading books electronically on devices like the Kindle is becoming more and more popular by the day. With the ability to hold your entire library in one portable device and the ability to download books wirelessly in an instant, it’s no wonder why the Kindle has been such a popular device for bookworms and readers this Christmas. However, contrary to popular perception, Kindle e-books actually tend to be more expensive than their printed counterparts. In an analysis of Amazon.co.uk’s top 100 bestselling books, we found that 78% of Amazon’s bestsellers were available on the Kindle format. On average, e-books cost 10% more than their physical counterparts – primarily due to the additional VAT charged on sales of e-books. This is the follow-up to the study we previously carried out in December 2010 and June 2011. 2 Why do e-books cost more? 3 Where can I find out more about Kindle? 4 Which books were considered in your study? 78% of titles are available in the Kindle e-Book format. Of the 95 titles considered, 74 were available in the Kindle e-Book format (78% of the sample). All 95 books were available in some version of a printed format: 73 in hardback format and 65 in paperback format (77% and 68% respectively). On average, Kindle e-Books were 10.4% dearer than the corresponding physical books. 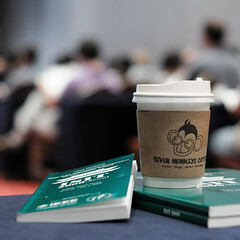 We considered the 74 titles which were available on both printed format and Kindle e-book format. The total cost of these titles on the Kindle format was £509.83 (an average of £6.89 per e-book) which compares to £461.90 for the physical book (an average of £6.24 per book). The total RRP of the 74 books is £1,037.40 (an average of £14.02 per book). 54% of titles are dearer on the Kindle. Of the 74 titles available in both printed & e-book formats, more than half of them cost more on the Kindle. 40 titles (54%) were dearer on the Kindle with the other 34 titles (46%) being cheaper on the Kindle. For books with a paperback release, the Kindle e-Book is 14.9% dearer on average. Considering only the 55 titles with both a paperback and Kindle release, the Kindle edition is 14.9% more expensive on average. The total cost of these 55 books on the Kindle format is £316.06. This compares to £275.08 in the paperback format. This suggests that for older books (e.g. those with a paperback release), savings which could be achieved by opting for the print format are even bigger. Our advice is that Kindle owners should always compare the price of their e-books against the price for the printed book before purchasing. Doing so will save you 10.4% of the cost of the book on average. Why do e-books cost more? E-books are usually assumed to be cheaper than their physical counterparts due to the fact they do away with the costs of printing and the costs of distributing a physical book. However, our analysis has shown that this is not actually the case: the physical book is often cheaper. This warrants some kind of explanation. Firstly, much of the cost associated with publishing a new book happens before a single book is even sold. Examples of fixed costs include the advance paid to the author, the cost of research, marketing, employing copy editors, lawyers and so on. These fixed costs need to be recovered through the sales of all books – regardless of whether they’re published in print format or electronic format. In reality, the actual cost of printing and distributing a physical book only makes up a small part of the final cost. What this analysis shows it that the money Amazon receives from e-book sales is actually 8% less on average than they would receive from selling a physical printed book. However, because the UK government collects VAT on sales of e-books, the final cost as charged to consumers is 10.4% higher for e-books. Until the UK government accounts for this disparity in VAT, e-books are likely to remain more expensive than printed books. Where can I find out more about Kindle? We’ve got an in-depth comparison between the wi-fi and 3G versions of the Kindle and a guide to getting free web browsing abroad with the 3G Kindle Keyboard. 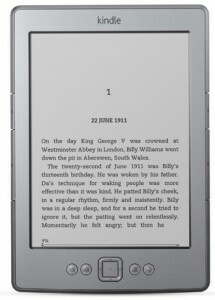 You can also find out more about the Kindle on the Amazon website. The Kindle is available to purchase from Amazon.co.uk. You can buy a wi-fi Kindle for £89 and a 3G & wi-fi Kindle with keyboard for £149. Which books were considered in your study? We considered the 100 best-selling books on Amazon.co.uk on the afternoon of the 5th January 2012. Of these 100 top titles, 95 titles were available for order are were neither calendars nor box sets. The basket on which we base our comparison of the price of e-books and printed books is comprised of the 74 titles available in both printed and Kindle e-book formats. The price of the Kindle e-Book is compared to the cheapest printed book (whether that is hardback or paperback). Prices of individual books on Amazon.co.uk will fluctuate from day-to-day but as we have considered a large sample of bestselling books, we believe the general conclusions of the study are valid. The price of audiobooks was recorded as part of the study but was not considered. This study was carried out on 5th January 2012. We carried out similar studies in December 2010 and June 2011.